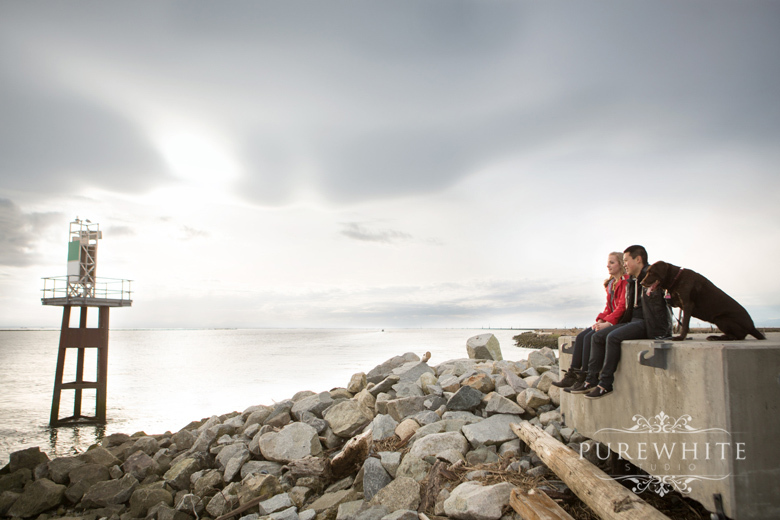 We shot Ali and Phil's Engagement session at Garry Point Park and Britannia Shipyard in Steveston, Richmond. Despite the overcast, we found wonderful opportunities for great taking along the seaside. 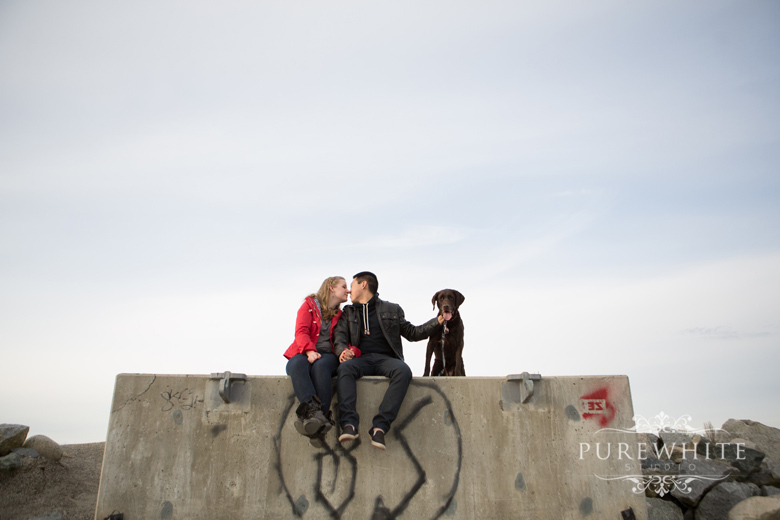 Besides, strolling alongside their furry companion was a ton of fun - she was full of energy! We were excited to find blooming cherry blossoms near the harbour, which is one of the reasons why we love shooting during the spring season! Here are just a few of our favorites! 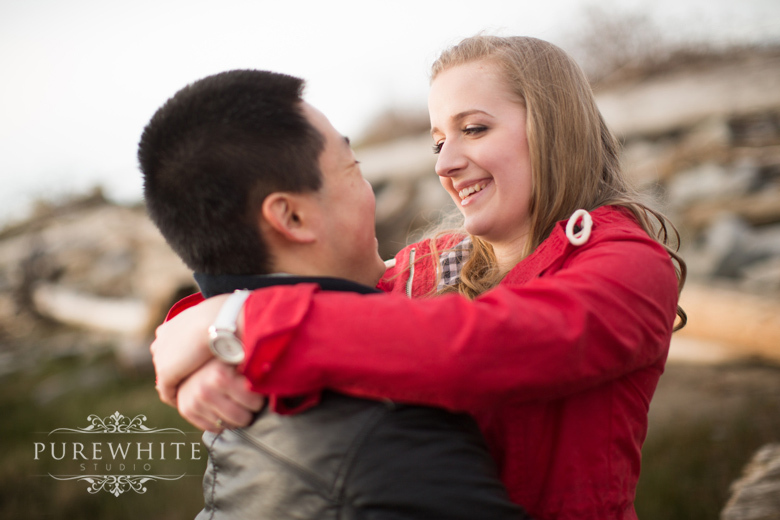 The day flew by as we had an amazing time with the sweet couple and can't wait for their big day! 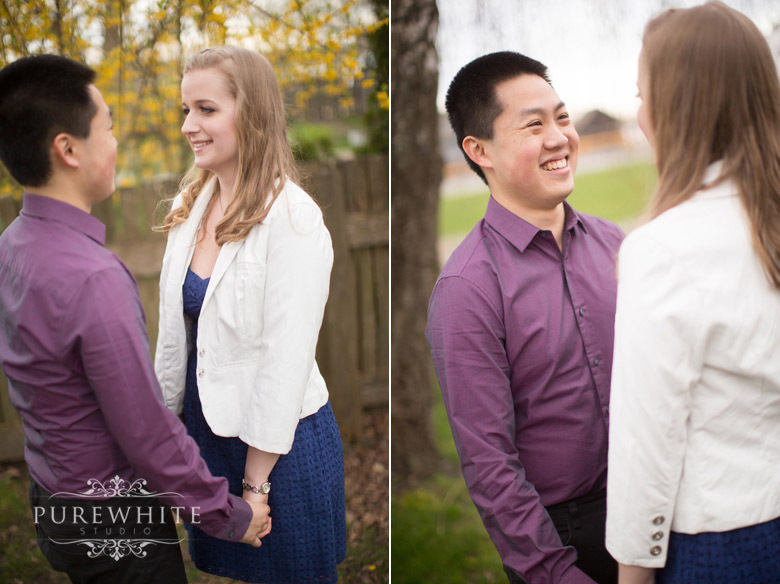 After a change of outfits, we took some rustic inspired shots of these two. 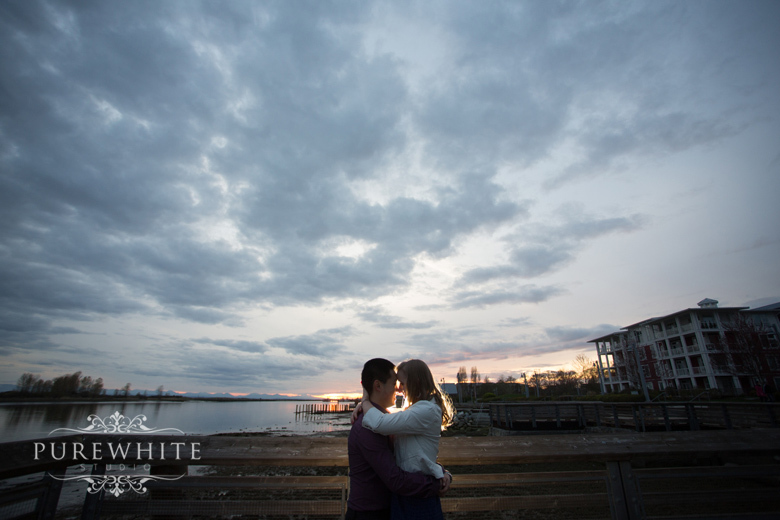 The rest of the day was shot in Britannia Shipyard, where we were able to capture more fun, with a few romantic shots of Ali and Phil.